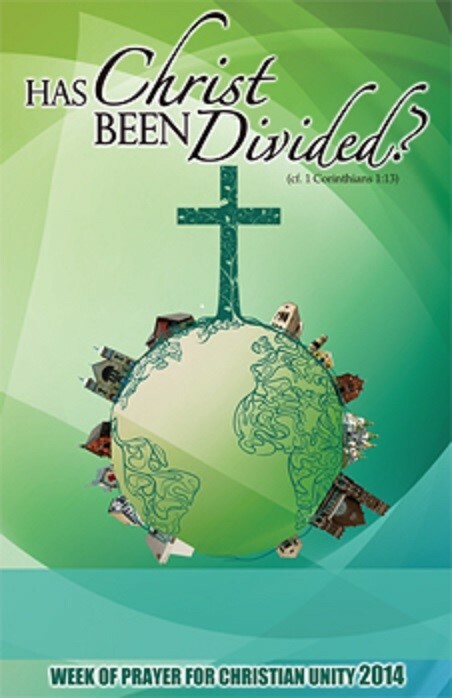 This year the theme chosen by the National Council of Churches asks the question: “Is Christ divided?” Every day of the week different prayers and points for reflection are offered for the Church Unity intention. The prayers and thoughts here are from the 8th Day – Pentecost Sunday. Together we proclaim anew the good news prophesied in Isaiah, fulfilled in our Lord Jesus, preached by the Apostle Paul, and received by the Church. Facing honestly the differences we have and the labels of denomination we embrace, we must never lose sight of the common mandate we have in proclaiming the gospel of Jesus Christ. Paul is sent “to proclaim the gospel, and not with eloquent wisdom, so that the cross of Christ might not be emptied of its power” (1 Cor 1:17). The path to unity is to be found in the power of the cross. 3. The Gospel we proclaim is made tangible and relevant to us as we bear witness to the work of Jesus Christ in our own lives and the life of the Christian community. In what ways is the ‘gospel’ you have received bound up with its cultural and historical transmission? In what ways has that been both a vehicle and an obstacle to unity? What other ways are there of “handing on” the gospel? Think about/discuss the appropriateness of finding culturally relevant and contemporary presentations of the language, imagery and message of the gospel. How would our fuller unity in Christ make us better witnesses to the gospel we have received? God of wholeness, we recognize, with sorrow, our divisions with each other and with you. As we seek to recover our unity in Christ we recognize the diversity of gifts, talents, understandings and expressions of faith that abound in the life of your churches. May we see this diversity as an encouragement and inspiration as together we witness and minister to the needs of your world. (Full text of 2014 prayers and reflections for all 8 days, click here). All St Mary’s Parish ‘Contact’ details, click here. Watato Children’s choir – represent 47.5 million children of Africa, orphaned/single parent as result of Africa’s HIV/AIDS & wars. This entry was posted in Parish Bulletin. Bookmark the permalink.